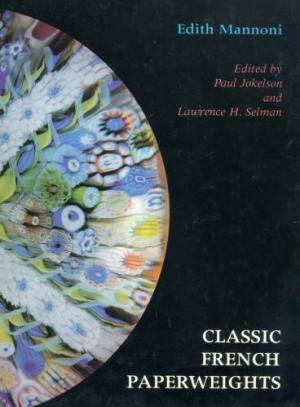 Originally published in French, this book focuses exclusively on antique French paperweights from the big glass houses of Baccarat, Clichy and St. Louis. It has wonderful full color photographs, many of them full page in size. 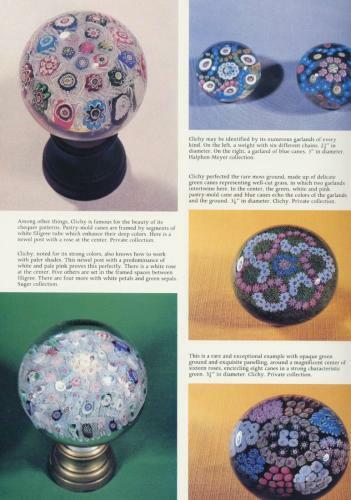 The author presents a history of paperweights and paperweight collecting illustrated by the very best French paperweights. 64 pages. Full Color. Hard bound. 9 1/4" by 12 1/4". 1984.